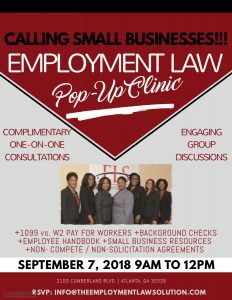 Join ELS on September 7, 2018 from 9 am-12 pm for its FREE Employment Law Pop Up Clinic! 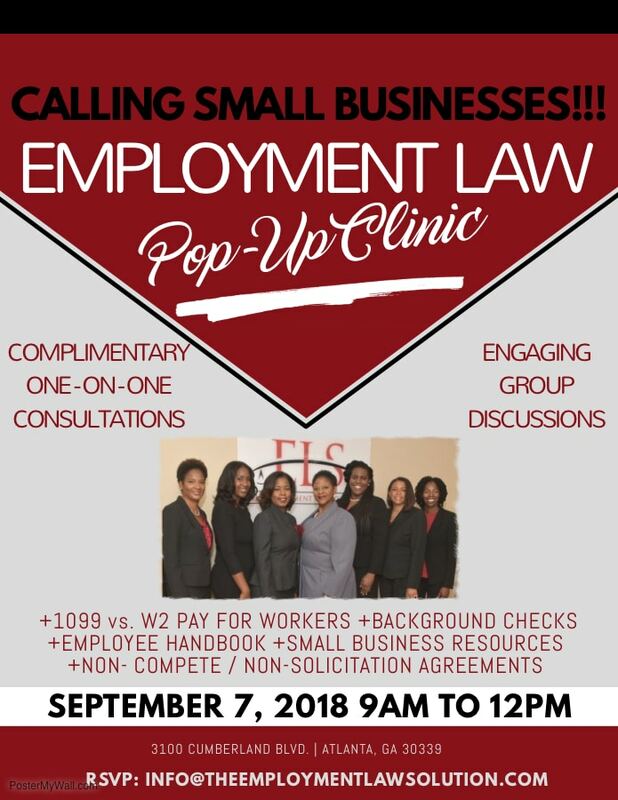 Small businesses in the surrounding areas can receive complimentary one-on-one consultations, as well as engaging group discussions, regarding topics such as classification of workers (1099 vs. W2), background checks, employee handbooks, small business resources, and many other topics. For more information contact us by phone at 678.424.1380 or by email, [email protected] We hope to see you there!